Mrs. Florence Ina Schmidt, age 92, passed away Saturday, September 23, 2017. She was born in Armington, Illinois on March 9, 1925 to Roscoe & Eliza (Davis) Buttry and grew up in Armington, Illinois. Florence had assembled aircraft parts during World War II in her younger years and worked for a dentist briefly. She became a full time homemaker after marrying Otto Schmidt on December 31, 1948. 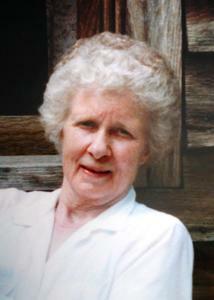 Mrs. Schmidt was an outspoken women who enjoyed a good conversation whether it was about politics or national affairs. She loved nature, walks, and bike rides. Florence would visit the John Ball Park Zoo and Fredrick Meijer Gardens regularly but her family was always the most important. Son, Walter (Marie) Schmidt of IL; daughters, Cynthia (Robert) Wilson of Twin Lake, Kay Schmidt-Chase of TN; grandchildren, Nadia, Justice, Chris, Ian, Becky, Samantha & Bridget; great grandchildren, Felicity, Joe & Donnie. She was preceded in death by her husband in 1998. Florence will be buried next to her husband in the Abraham Lincoln National Cemetery in Elwood, IL.